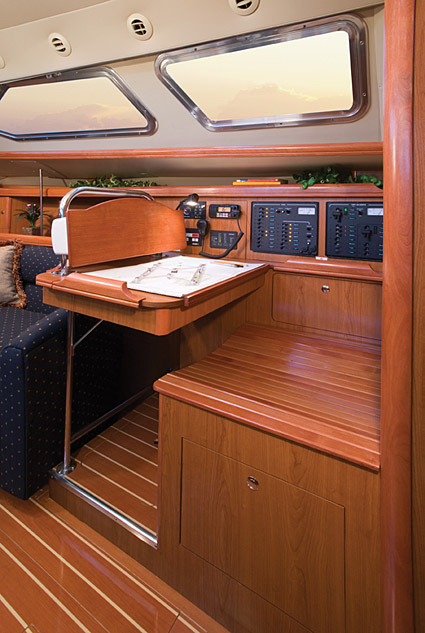 The 41 – Deck Salon: Room…With a View! 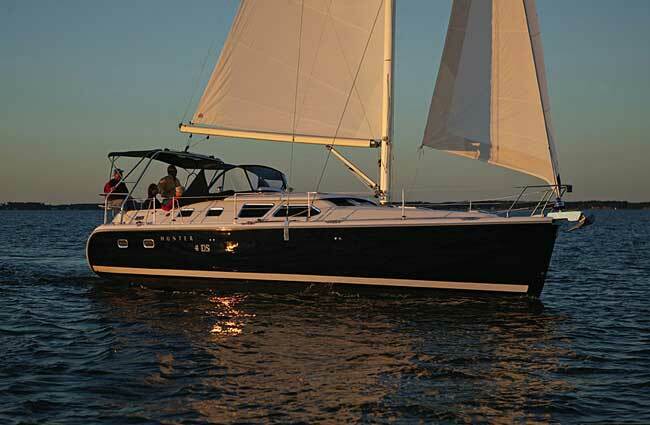 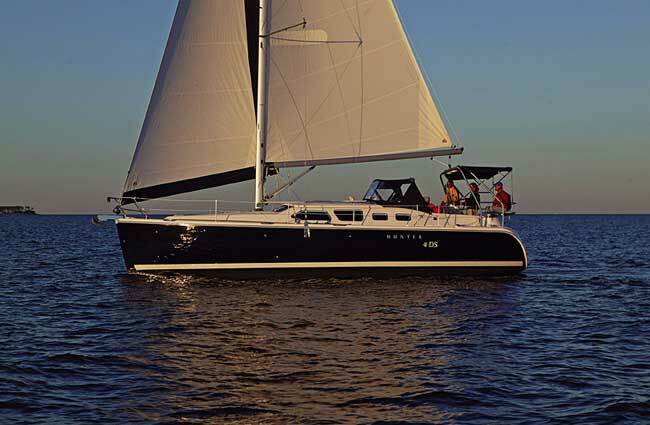 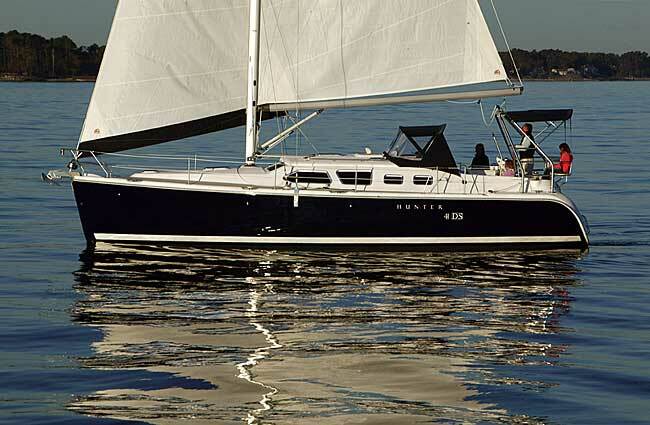 When you sail the Hunter 41 Deck Salon, be prepared for exceptional sailing ease and performance. 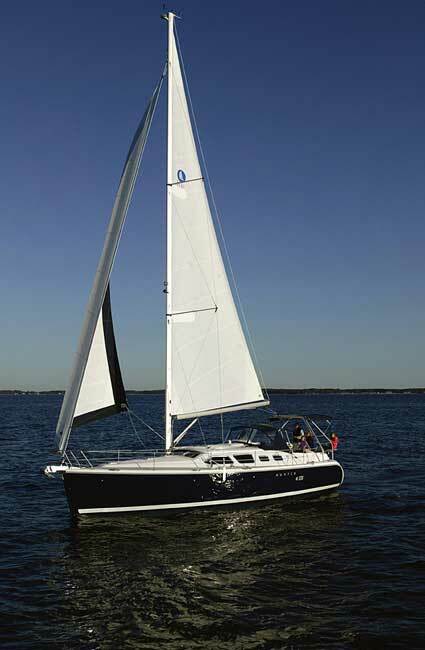 From heavy air to gentle breezes or from full speed ahead to slow reverse, the Hunter 41DS will astound you with a perfectly balanced helm, surprising responsiveness, and unbelievably easy sail handling. 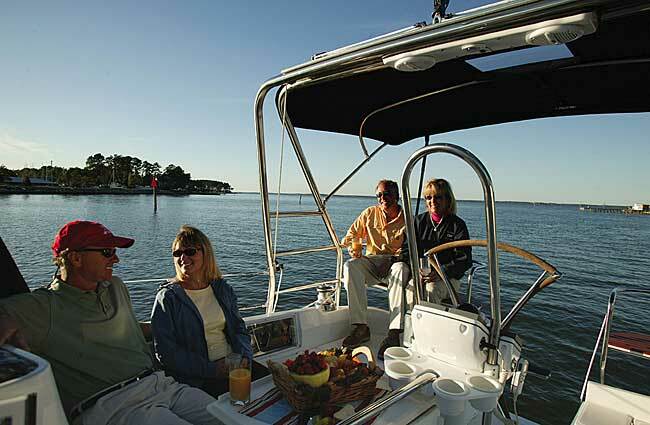 It’s the big boat that maneuvers like a small one, with plenty of space for entertaining. 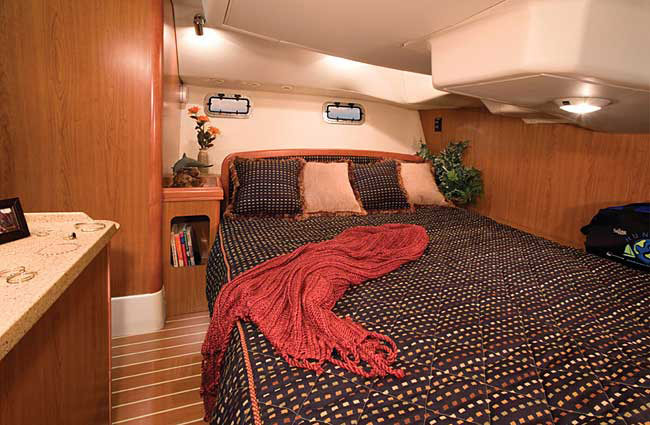 Inside, the efficient two-cabin layout provides luxurious accommodations with fully equipped private staterooms at both ends. 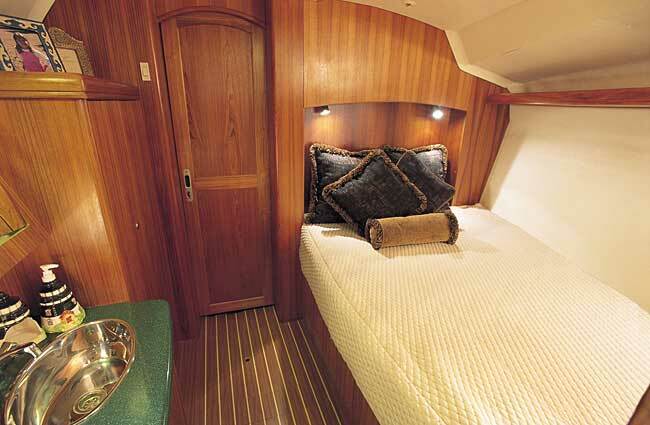 Or if you prefer, the tri-cabin cabin version splits the standard single aft stateroom into two smaller spaces. 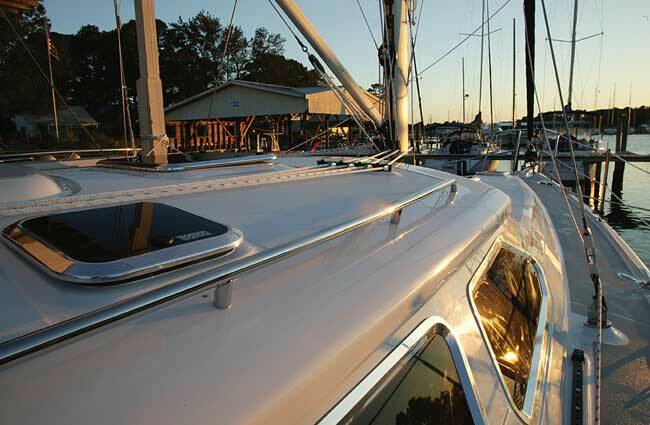 The popular Deck Salon raises the cabin house to provide nearly seven feet of interior headroom. 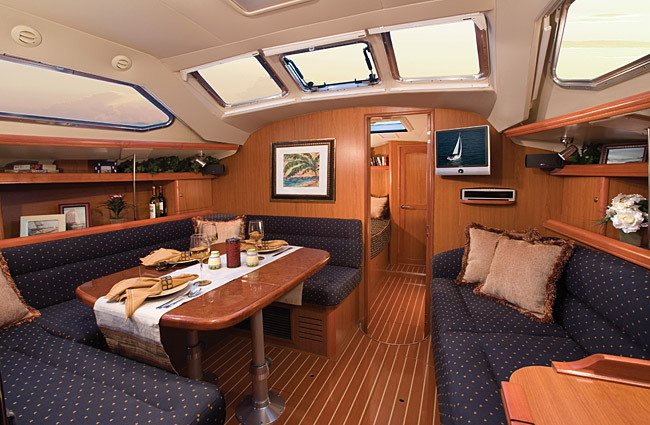 The extra space, combined with panoramic views from oversized windows, seamlessly brings the beauty of your sailing environment to the comfort of the interior. 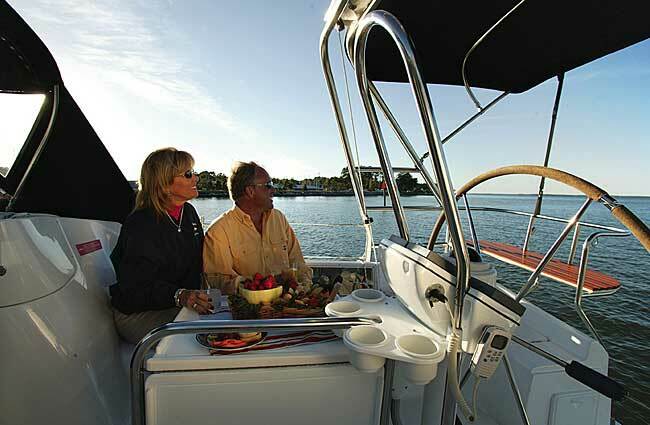 Liberate your culinary talents in an expansive galley laid out for comfort and convenience. 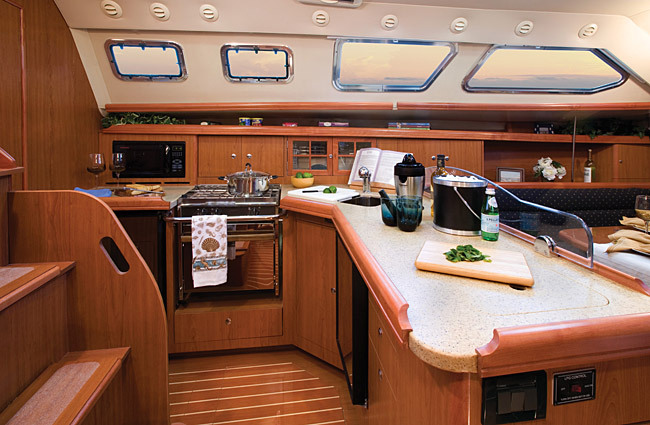 Front opening refrigeration installed under the counter preserves the beauty and utility of the continuous Corian® surface accented with under-mounted stainless sinks and a protective acrylic splashguard. 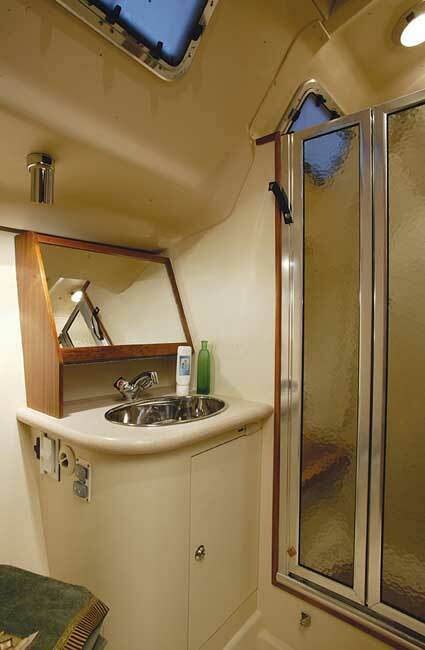 Storage space abounds with a 10 cubic foot pantry that includes adjustable shelving and 4 deep drawers. 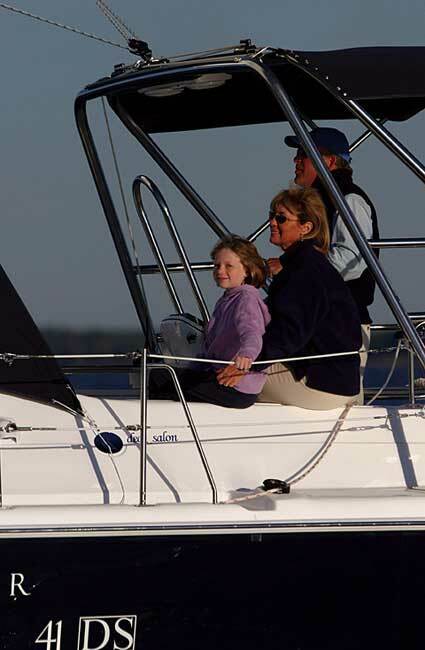 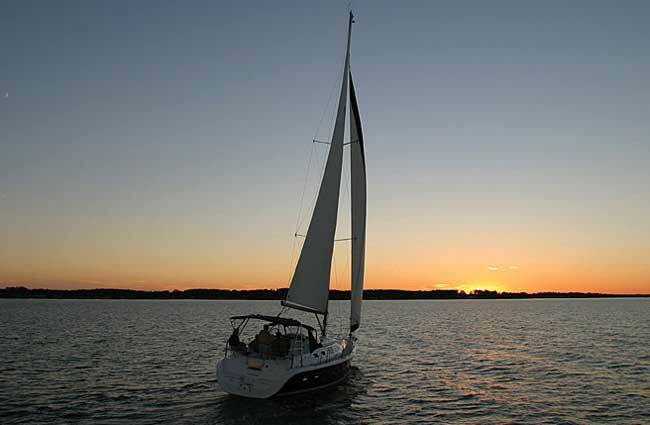 Like all Hunter sailboats, quality components and easy access to systems reduce maintenance time so you can relax. 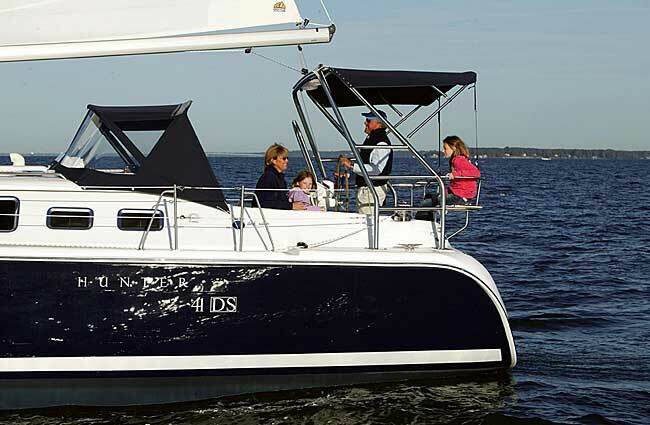 Whatever destinations your cruising plans include, the Hunter 41DS is built to take you there safely in comfort and style.